Phil and Brendo talk about the new Star Wars Episode 7: The Force Awakens teaser as well as the Batman V Superman: Dawn of Justice teaser for quite awhile. They also talk about Marvel and DC movies in general, Daredevil, Brendo’s camping trip, new StreetPass games, and I’m not sure what else because all I can really think about is Star Wars. Seriously, you guys. This entry was posted in Episodes and tagged 3ds, anaheim, avengers, batman, benview network, bob's burgers, books, brendan creecy, carrie fisher, city under the moon, comics, community, daredevil, dawn of justice, episode 7, geek, han solo, harrison ford, james riley, jj abrams, last man on earth, mark hamill, marvel, netflix, new japan, nintendo, phil vecchio, podcast, pokemon, radio brendoman, star wars, star wars celebration, star wars rebels, story thieves, streetpass, superman, teaser, the force awakens, wrestling, wwe, zack snyder on April 18, 2015 by brendoman. 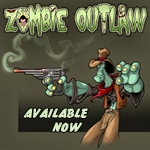 Phil is on vacation again so Brendo is joined by guest Brian Apodaca, creator of Zombie Outlaw. They talk about Brian’s job as the night desk guy at a hotel in Hollywood, making comics, Interstellar, WonderCon, Comic-Con, Judd Apatow, Andre the Giant, and lots more. Thanks for listening! This entry was posted in Episodes and tagged anaheim, andre the giant, baseball, basketball, brendan creecy, brian apodaca, christopher nolan, comic-con, comics, graphic novel, gravity, hollywood, hotel, interstellar, judd apatow, los angeles, phil vecchio, podcast, radio brendoman, san diego, wondercon, wrestling, zombie outlaw on March 17, 2015 by brendoman. Radio BrendoMan #119 – The Benview Network WonderCon 2014 Megacast! Phil and Brendo are joined by fellow Benview Network members Josh Anderson, Ryan Gates, Derick Armijo, Matt Benson, Andrew Linde, David King, and special guest Chris Hayner. They talk about all the happenings at WonderCon as well as a bunch of other things. Check out all the shows at benviewnetwork.com! This entry was posted in Episodes and tagged anaheim, andrew linde, benview network, brendan creecy, brian lynch, chris hayner, comics, creepypasta, david king, derick armijo, idw, josh anderson, mario kart, matt benson, monster motors, movies, nintendo, phil vecchio, podcast, radio brendoman, ryan gates, video games, wondercon on April 24, 2014 by brendoman. Phil and Brendo are joined by their buds Josh Anderson, Matt Benson, and Derick Armijo at WonderCon 2013! They discuss Brendo’s furry dilemma, movies Phil hates, cool things at the Con, and lots of other stuff. This one gets a little out of control so I’ve been told to warn you it is not for sensitive ears. You’ve been warned! This entry was posted in Episodes and tagged anaheim, bensons boombox, benview, benview network, brendan creecy, brendoman, convention, derick armijo, furries, furry, josh anderson, matt benson, movies, nintendo, phil vecchio, pillagecast, podcast, pop sickles, radio brendoman, video games, wondercon on April 4, 2013 by brendoman.